In my most recent posts on Rewarding Great Teachers, we have looked at base pay of our teachers. 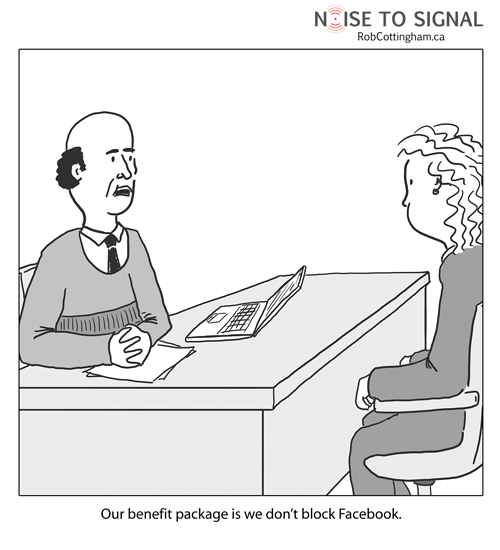 But benefits are also an important part of total compensation. In my next four posts, I will pull apart UCF’s benefit offering and evaluate the overall competitiveness of each component. The first question we will look at is access to benefits. 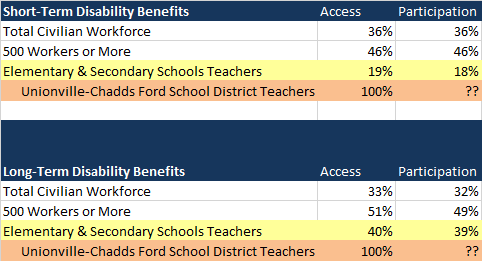 What benefit programs are available to our teachers? And how does this compare against other employers? I will cover this in Part 1. The second question we will examine is the quality of the benefits that are offered. Not all medical or dental plans offer the same types of coverage. Is the quality of UCF teacher benefits higher or lower than those offered by other employers? I will cover this in Part 2. The third question we will try to answer is on the cost. Benefits are expensive, and costs have been increasing. Employers and employees often share the cost of benefit programs. What share do UCF teachers bear, and how does that compare against employees in other sectors? I will cover this in Part 3. The fourth area we will analyze is pensions, and PSERS. Retirement benefits are complicated, but I will attempt to compare the value of pensions vs. defined contribution plans, and assess the value of these plans to our teachers. I will cover this in Part 4. Access. Does the employer offer the benefit to the employee (regardless of quality of the plan, and regardless of the amount of employee ‘copay/contribution’)? If yes, then the employee has ‘access’. The BLS figure shows the percent of employees in that sector with access. Participation. Employees with access may not choose to participate in the benefit plan. “Participation” is the percent of employees in the sector that have access and choose to participate in the benefit plan. Here is the BLS data for Medical Insurance, with UCF added by me for comparison. Observations: Medical benefits are offered at a high rate across all sectors, and are offered at a 98% clip for teachers across the USA. UCF is in-line with other schools, and in-line with what is offered for full-time professional positions at large companies. Observations: In the total workforce, access to prescription drug coverage goes hand-in-hand with access to medical benefits. UCF is at-par with other schools, and in-line with what is offered for full-time professional positions at large companies. Observations: Dental benefits are less common than medical & drug coverage in the total workforce. UCF is a step ahead of other schools, as only 59% of teachers nation-wide have access to a dental plan. Our district is above average by offering a dental plan. Observations: Vision plans are even less common than dental benefits. UCF is a step ahead of other schools, as only 37% of teachers nation-wide have access to a dental plan. Our district is significantly above average by offering a vision plan. Observations: UCF offers short-term and long-term disability income protection. This sets UCF apart from other employers, including most schools. Our district is significantly above average by offering DI coverage. Observations: UCF offers life-insurance, as do a strong majority of other employers. So our district is in line. What other benefits are offered that should be on our comparison list? (We will cover retirement plans separately). BLS did not offer other benefit categories, which leads to me to believe that we have covered the most common benefits above. A small number of employers offer on-site child care, sometimes at a reduced rate or employer funded. But the few sources of information I found indicated that this is a rare benefit, offered by less than 5% of employers. If there are other benefits offered at many employers, but not to UCF teachers, please leave a comment so I can include it. Based on comparison to all elementary and secondary public school teachers, we offer a strong set of benefits. For the most valuable benefits (medical, prescription, and disability income) our district is on par with other public schools. On the second tier of benefits, UCF is above average. Of course this only covers access. In my next post we will look at the quality of each benefit. In terms of access, UCF has the right benefits in place to attract, retain, and reward Great Teachers. Medical plans offered by UCFSD are summarized here.